and to be given coaching tips on your downhill ski performance. 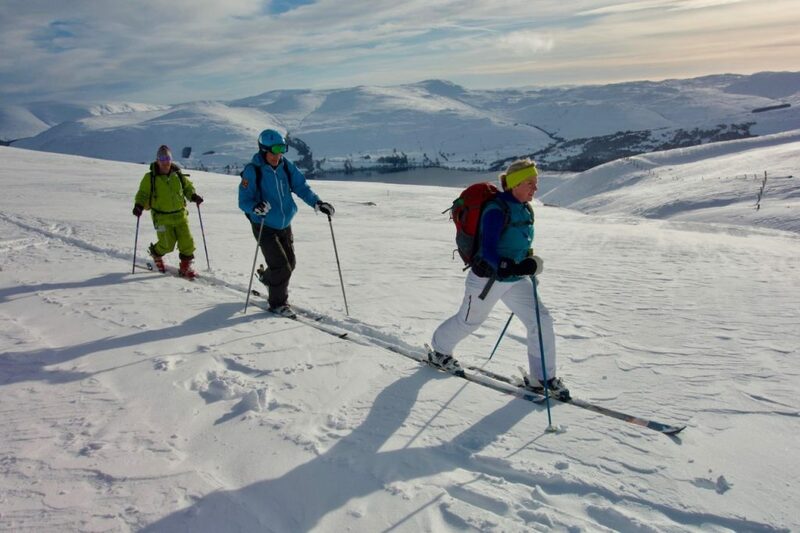 Scotland offers some remarkable ski touring opportunities. It takes patience, preparation, flexibility and an open mind; but when it is good it can be as good as anywhere. The focus is on searching out the best descents possible on the day, as well as helping you find the love for the climbs! When possible we will go on a ski-touring journey and discuss the skills on route. If the weather deteriorates the latter part of the day may become a skills session in sheltered terrain. Any media collected will be shared with participants after the course. Pre-requisites: You will need to be confident getting down a red run and have a decent level of fitness. It is hoped that the ascent should not take more than two hours, although there will likely be at least two climbs in the day. Both the ascent and descent will be in non-avalanche terrain (less than 30 degrees) but the snow conditions may be variable. You should be happy to ski in unpredictable and changeable snow, although tactics to help tackle this will be covered in the course. Equipment: You will need to bring your own ski boots (any will do), a rucksack big enough to carry an avalanche shovel, probe, skins, your spare clothing, your packed lunch and water. Blair has six full ski touring set ups but availability depends on the requirements of the group. If you need to borrow skis then you need to bring your own boots and we will let Blair know the boot sole length in advance (you need to provide your own but normal alpine ski boots are fine, ski touring boots are however usually more comfortable and lighter). For more information please contact David Treger.